Marathoner Gabriela Andersen at the 1984 Los Angeles Olympics. And so Gabriela Andersen of Switzerland staggered into the Olympic stadium. The 30° C (86° F) heat and humidity of August in Los Angeles was overpowering, and far from ideal for a marathon. On top of that, Andersen had somehow missed the water station and did not replenish herself in the last phase of the marathon. Greatly dehydrated, Andersen was listing awkwardly to her left, staggering at times across the lanes. It was a horrible sight for spectators in the stands and for spectators globally on TV, as they prayed the marathon would not collapse, and cheered her on to complete the first ever women’s marathon at the Olympics. ‘Try to keep running. Try to stay upright.’ My muscles just did not respond. It just deteriorated over the last 400 meters. At this point, I’m in the Olympics. I want to finish this race because this is my one and only chance. I was 39. I knew in another four years there was a very slim chance to qualify again. At long last, in a respectable time of 2 hours, 24 minutes and 52 seconds, Andersen finally reached the line, falling into the waiting arms of three officials, two of whom carried her off the track. Fortunately, two hours later, Andersen was fine. After hearing those words, Andersen realized more than ever before that it’s not always about the result, that It’s often about not giving up. Think San Diego, think sun and fun. The inaugural ANOC World Beach Games are coming to San Diego in 2019. Wake boarding, beach volleyball, beach wrestling, beach handball, bouldering among many other events will be on display at Mission Beach. Mix sand and sun, with youth and sports and you get something less formal and more participative than the Olympics. I had the opportunity to sit down with Banks in Tokyo as he was in town on business His career path is a model for athletes who wonder what to do after spending so much of their youth training and competing. Banks was one of the premier triple jumpers, breaking the world record in 1985 with a hop, skip and a jump of 17.97 at the USA Outdoor Track and Field Championships, a record that lasted over a decade. Banks competed at the 1984 Los Angeles Olympics and the 1988 Seoul Olympics. In 1994, he was deputy venue director of the Rose Bowl for 8 games of the FIFA World Cup in the United States, where the finals between Brazil and Italy were held. In 1996, Banks was the director of athletes service at the Atlanta Olympics. And over the years, he has been a consultant to cities bidding to be Olympic hosts. Today, in addition to serving on the executive committee of the World Olympians Association, he runs his own company, HSJ Incorporated, which markets an artificial turf called Fieldturf in Japan and Taiwan. Banks, who grew up in San Diego, is looking forward to bringing the world to his neighborhood. “The most important part of these Games is that we will have fun and the athletes and spectators will enjoy, which will build a wonderful brand,” he said. Willie Banks and me in Tokyo. At the 1984 Los Angeles Olympics, the American woman’s team won the gold medal in the 4×400 relay finals, easily breaking the Olympic record by nearly a second and trouncing silver medalists Canada by nearly 3 seconds, an eternity in sprint. The 4×400 meters event, by definition, is a race run by four people. But due to the rules of track at the time, teams were allowed to list up to six people eligible for the relays, and if there were athletes who competed in heats, but who did not run in the finals, they could still be awarded a medal for helping their team to the medal podium. Thus, at the LA Games, six women received gold medals, including Diane Dixon and Denean Howard, who helped Team USA to an easy victory in the preliminary 4×400 competition. They not only assisted in getting their team to the finals, they rested two of the team’s stars, Valerie Brisco-Hooks and Chandra Cheeseborough, so they would be fresh for the finals. Team Puerto Rico, on the other hand, did not have that luxury it seems. Madeline de Jesus was representing Puerto Rico as a long jumper and sprinter at the ’84 Games. During the long jump competition on August 5, she pulled her hamstring, and she knew she would not be able to suit up for the 4×400 relay six days later. Only six days….but enough time to plan a caper. According to this article, Madeline consulted with her sister Margaret who was a spectator at the Olympics. And they wondered if they could get away with it. No one knew that Madeline’s injury would keep her out of the relays, so if her sister could take her place in the relays, the Puerto Rican team would have a chance. After all, Margaret was a sprinter as well. She didn’t qualify for the Olympic team, but she had a particular quality that could make this work – Margaret was the identical twin of Madeline. So Madeline suited Margaret up, presumably passing her sister all her credentials that gave her access to the village, the training facilities and the stadium. And on August 11, it was Margaret de Jesus lining up for the second leg of the 4×400 heat. Since there were ten teams competing for eight spots in the finals, Team Puerto Rico’s finishing time of 3:37.39 was enough to grab the eighth spot and qualify for the finals. Margaret had fooled the world. For a little less than a day. When the head of the Puerto Rican Olympic team heard of the deception, he immediately pulled his 4×400 team from the finals. After an investigation held by the Puerto Rican Olympic Committee, Madeline and Margaret were banned from future competition. The investigation also revealed that the relay team’s coach, Francisco Colon Alers, knew of the plan and allowed it, resulting in his lifetime ban from international competition. Sadly, the three other members of the track squad were also complicit, and they received a one-year suspension from competition. Antigua and Barbuda finished almost two seconds behind Puerto Rico in the heats. Getting to the finals and racing one more time on the big stage would have been sweet…if not for those twins. They were teammates. But they were not friends. For well over a decade Mac Wilkins of Eugene Oregon and John Powell of San Francisco, California competed on the field trying to out-throw the other in the discus, and competed off the field with cutting quips. If John Powell said, “Less filling,” Mac Wilkins would reply, “Tastes great,” for they are the Bickersons of the discus, and agreeing on anything would likely ruin their reputations forever. They will argue about how much a quarter-pounder weights, or when the swallows come back to Capistrano, and the fact that they are Olympic teammates once again will do nothing to harness their tongues. Why should it? They are halfway to the new American dream – a beer commercial. In a June 24, 1984 article in The Boston Herald, Charles Pierce described an exchange between Powell and Wilkins after Powell had won the discus throw finals in the Olympic trials a few weeks before the start of the Los Angeles Olympics in 1984. When did this enmity/comedy routine begin? Some say it began in earnest with the discus throw finals at the 1976 Montreal Olympics. In the discus throw finals there are six rounds to make your best throw. Wilkins tossed the discuss 67.5 meters or 221 feet in the second round. In the third round, Powell tossed the discus 65.7 meters or 215 feet, which was good enough for silver, until the sixth round. That’s when East German Wolfgang Schmidt unleashed a throw of 66.22 meters or 217 feet. When it was clear that Wilkins had won the gold medal, Powell, who had slipped to bronze went up to Wilkins to congratulate him. The story goes that Wilkins ignored his American teammate and went up to the East German, Schmidt, and gave him a big hug. As Wilkins explained in the book, Tales of Gold, those who reported on this scene didn’t understand. Everybody around there thought I had insulted Powell, my fellow countryman. John Powell was not my friend, but Wolfgang was. I wasn’t looking at what country Schmidt was from; I was just looking at the terrific performance he had made, coming through on his last throw like that to take a silver medal. He was great, but a lot of stuffed shirts were upset with me then, and ever more so a bit later. 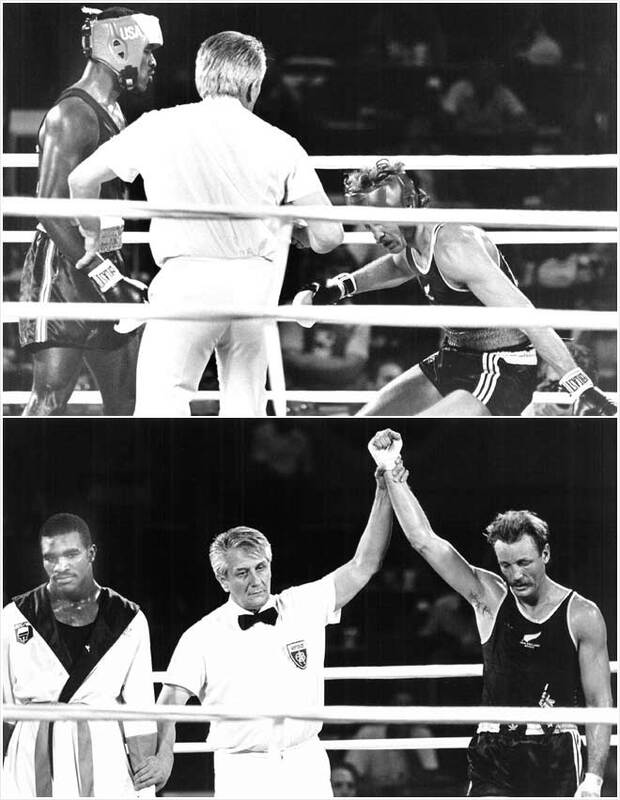 Wilkins would win the silver medal at the 1984 Los Angeles Olympics, with Powell taking bronze. Yasuhiro Yamashita won the gold medal in the open weightclass at the 1984 Los Angeles Olympics. He was the most dominant judoka of his generation. And he continues to be one of judo’s great ambassadors to the sport. In an interview around 2004, Yamashita spoke about a talk he had had with an executive from NBC, the broadcaster in America that held the rights to coverage of the Olympics in the US. When Yamashita asked why judo was not so popular in America, the executive told Yamashita that it might be better to use English terms instead of the Japanese words used to describe the various judo techniques, and that the throws should incorporate a point system. More interestingly to me, the executive said that judo competitors should show more emotion. Yamashita said in the interview that he did not think that would be the right direction for judo. I believe that the essence of judo should be protected at all costs. This essence is composed of, “Japanese language,” “courtesy and respect toward one’s opponent” and an “attitude that sets great value on the Ippon technique.” If these vital aspects of judo are lost, then the sport loses all the values that it has come to represent. In particular, I believe that the values of courtesy and respect are a most important foundation of the sport. In judo, even if you are victorious, you should avoid all temptation to show off, or to celebrate, and should maintain self-restraint and composure. And yet, this debate over the proper way of carrying yourself as judoka, true to the way of the founder, Jigoro Kano, was why Yamashita’s victory at the 1984 Olympics was so poignant. Yamashita carried himself stoicly during the competition, especially after he tore his right calf muscle in his opening match. He claimed in this video interview this attitude was a competitive advantage. One of my strengths, though, is my grin and bear it attitude, and I knew there was no point in dwelling on it. I focused myself ready for the next match. If my injury became evident, it would make it harder. I was determined not to show any pain in my face and that I would chokehold my opponent to win. And that’s how I went into the remaining matches. He competed without excuse or complaint, trying his best to hide his limp and intense pain, and ended up winning his four matches to win gold. That’s the judo way. But when the judge signaled victory to the Japanese over the Egyptian, Mohamed Ali Rashwan, to win the gold medal, Yamashita lept to his feet. He thrust his arms into the air. Tears began to stream down his cheeks. In other words, Yamashita, who lost his chance for Olympic glory due to the boycott of the 1980 Moscow Games, who was at great risk of losing his second chance, had somehow emerged victorious – finally, an Olympic champion. Again, here is Yamashita describing his emotions. Before I knew it I was standing up celebrating. I’ve never shown such emotion at a victory before. I had no time to feel anything like that. My injured leg had been hurting so much. I’d been fighting the pain all the way to victory. I just felt, “Yes! I’ve done it!” (Yatta!) I don’t think I really knew what was going on around me. At the end of the match against Rashwan, you can see Yamashita limp off the mat, pausing to turn around and make a swift bow. He quickly turns around, and limps off. He cannot bend his right knee and yet you can see him racing off the stage and down the steps and into the arms of his teammates, who then proceeded to throw the huge Yamashita into the air with glee. He could not help but celebrate. He could not maintain his composure. And that was all right. Yamashita had climbed a mountain. And he was on top of the world. He was 7 years old when he watched the 1964 Tokyo Olympics on television, where the Japanese won three of four gold medals in judo, at the sports Olympic debut. At the age of 10, he started training in judo at his elementary school. A few years later, as a second year junior high school student, Yasuhiro Yamashita wrote a report entitled “My Dream”. He wrote that he could see himself in the future, in the Olympics, watching the Japanese flag raised on the center pole, listening to Japan’s national anthem. It took another 14 years, but on August 11, 1984, Yamashita had a chance to realize his dream. Up to the Olympics, Yamashita had won 194 straight matches, 189 by ippon, and so was expected to dominate at the Los Angeles Olympics and win gold easily. But his golden victory was far from easy. First up for Yamashita was Lansana Coly of Senagal. Japan had already won gold in three other weightclasses, which might have put pressure on a less experienced first-time Olympian. But Yamashita made quick work of Coly, winning by ippon in 28 seconds. Next up was Arthur Schnabel of West Germany. Yamashita needed nearly 3 minutes, but he was able to wrestle Schnabel to the mat and win by ippon. However, when Yamashita stood up to leave the mat, he was limping, favoring his right leg. With two more matches to go, he had torn his right calf muscle during the match. After his defeat of Schnabel, Yamashita had only 45 minutes to ready himself for the semi-final match against Frenchman, Laurent del Colombo. 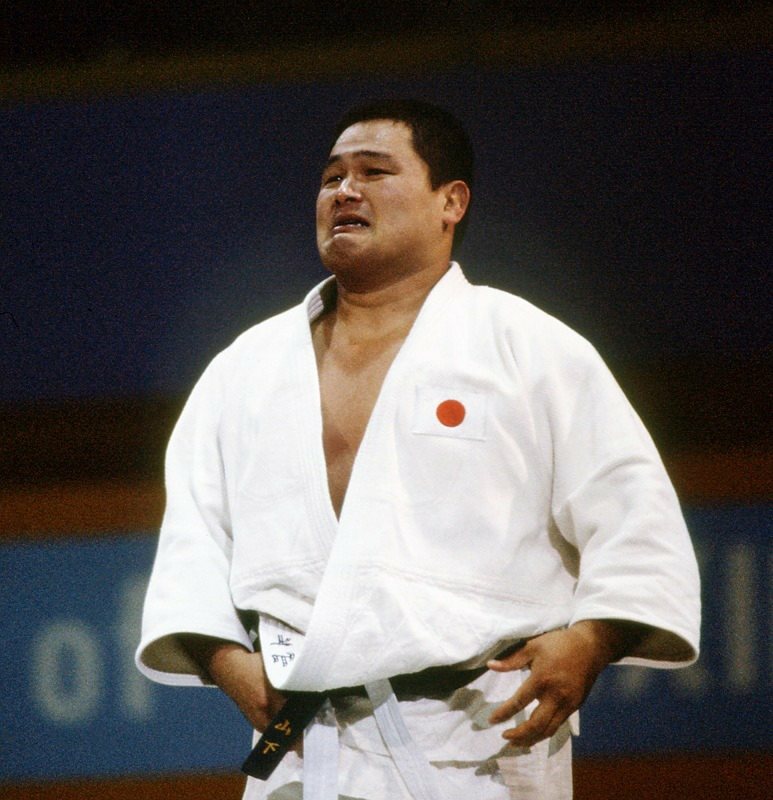 In the documentary about the Los Angeles Olympics, 16 Days of Glory, Yamashita admitted that he was concerned, saying “in my semi final it was the first time I ever thought I might lose.” While Yamashita said that he would not exploit an injury to an opponent, and would keep to his original strategy, he didn’t know whether del Colombo would honor that unwritten rule. Del Colombo went right after Yamashita’s right leg, kicking the inside of the leg and sent Yamashita to the mat – a very uncommon occurrence. It was not an ippon, and very quickly, Yamashita turned the tables, threw the Frenchman down and pinned him for victory and a chance for gold in the finals. There was only one man in the way of Yamashita achieving his dream. This should have been Yamashita’s second attempt at gold, but when Japan joined America’s boycott of the Moscow Olympics, Yamashita had to wait another four years. So here he was, a four-time World Champion, the greatest judoka of his generation, on the verge of winning gold in the Olympics. Egyptian, Mohamed Ali Rashwan, had made his ways to the finals fairly efficiently. The Japanese and the Egyptian had never faced off against each other. And with the injury to his leg, Yamashita admitted that he had no strategy for the gold medal match. Rashwan went after Yamashita’s right leg, but Yamashita had shifted slightly and found air. Off balance, Yamashita wrapped his mighty right arm around the Egyptian’s waist and back and threw him down. With the full weight of Yamashita’s 128 kilograms, Rashwan flailed around on the mat like a fish flopping around for air. After holding Rashwan on the mat for 30 seconds, the referee declared the Japanese the victor. And so when Yamashita got to the medal podium, Rashwan helping the limping Yamashita up to the highest stand, the Japanese remembered his dream as a 7 year old – to watch the Japanese flag climb the pole while he listened to the Japanese national anthem. The gold medal around his neck, Yamashita realized that dreams do indeed come true. Suriname – a country so small, you may not have realized it was a country (to paraphrase John Oliver). With a population of about 570,000 people, Suriname is the smallest country in South American, just north of South America’s largest country, Brazil. Since forming a national olympic committee, Suriname has sent small teams to the Olympics since 1960, although never forming a team larger than 7. 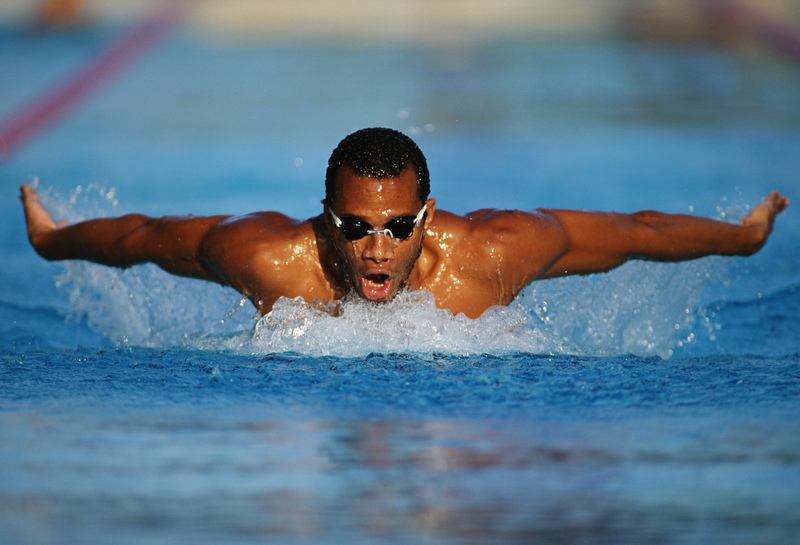 In 1988, Anthony Nesty was a 20-year-old swimmer, was one of six to represent Suriname at the Seoul Olympics. And represent he did! Not only was Nesty the first ever Surinamese to place in the finals of an Olympic competition – the 100-meter butterfly – he took gold in a surprising finish. Watching this video clip from an American broadcast, the announcer mentions the American Matt Biondi who led the entire race, as well as Michael Gross of Germany and Jon Sieben of Australia – all proven champions. The only time Nesty’s name is mentioned is after the finish. ANNOUNCER: They now have 10 meters to swim, Matt Biondi going for the gold. Jon Siebens coming hard on the outside. But Biondi looks like he’s going to take it to the wall. And they get….NESTY! Nesty finally takes in lane 3 at the very last moment! Nesty was born in Trinidad in 1967. His family moved to Suriname, about a thousand miles southeast, to Paramaribo, Suriname. While Nesty enjoyed soccer, his father encouraged his son to swim. Clearly his father saw something in his son’s stroke, but Suriname, a country about the size of Georgia, USA primarily covered in rain forests, was not rich in swimming pools. In fact there was only one 50-meter pool in the country. Where he could, Nesty trained and got stronger, strong enough to be named one of only two to represent Suriname at the 1984 Los Angeles Olympics. Outclassed, the 16-year old finished in 21st place in the 100-meter butterfly, but as is explained in this article, he got a taste of the Olympics and wanted more, promising himself “to be more competitive next time around.” That commitment led to his acceptance at the Bolles Prep School in Florida, where world-class swimmers come to train and develop. Nesty developed so quickly he ended up breaking the prep school’s record for the 100-meter butterfly, set by Pablo Morales, who had a gold and two silvers, including one in the butterfly, at the 1984 Games. He told the press in 1987 that he was not very well known in Suriname as he was now training in the United States. But when Nesty returned from Seoul, Korea to Paramaribo, Suriname, he returned a conquering hero, greeted by 20,000 people at the airport and mobbed in the streets. His face was placed on commemorative stamps, coins and banknotes. 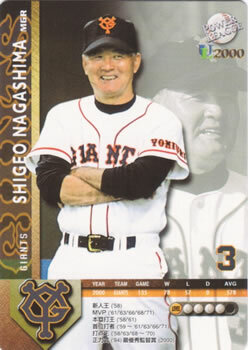 And the indoor national stadium was named in his honor. To this day, Nesty, with his gold in the 100-meter butterfly at the Seoul Olympics, as well as a bronze at the 1992 Barcelona Olympics, remains the sole Olympic medalist from Suriname. It’s not what you’d expect to hear from an Olympian. But that’s how Yuko Mitsuya, member of the Japan woman’s volleyball team that took bronze at the 1984 Los Angeles Olympics, started off her speech at a charity event on February 23, 2016. One imagines someone who succeeds at the highest levels would be filled with passion for their accomplishment. But the 177 cm tall woman from Katsuyama, Fukui, was ever humble in a talk that was inspirational. Mitsuya was speaking at an event called “The Next Big Pivot Charity Dinner 2017” in Tokyo, raising funds to provide young Japanese women with an opportunity to learn about leadership in the sports industry. Last year, five women went to New York City to participate in a program called Future Frontwomen, which gave them in-depth exposure to how the NBA is run and how sports can be managed as business. Those five women were present to hear Mitsuya explain that the path to success is not just fueled by passion, it is one of hard work, persistence and learning. Mitsuya, currently the chairperson of the Japan Basketball Association and the former CEO of a lingerie manufacturer, explained that she made the team because she was tall, but in her early junior high school days, she wasn’t very good. She worked at it, got better, and was able to contribute. I wasn’t that good. I was really a problem to the team. I hated it, but this was all I could do. Over time I got better, and more confident. I realized that becoming good at something was not a matter of whether I liked it or not. It mattered whether I practiced. And I practiced every day, and learned. I tried very hard and eventually got recognized as the best junior high school women’s volleyball player in Fukui. Her one big lesson for young women in Japan (and perhaps for anybody who desires to achieve) is that no matter how good you are, there’s always another level up. She succeeded as a volleyball player in junior high school in Fukui, but when she moved to Tokyo for high school, she realized that she still had a lot to learn. I thought I was good, until I got to this next level. And I lost confidence. But my friends supported me and helped me recover my confidence as I improved. And that’s what’s important – always stepping up, going another level up. There is always an opportunity to rise up further. You do well and you get to the top, and you realize, there’s another level to climb. As I got used to achieving and stepping up, I could always improve. For women, young women, I believe there are lots of chances to step up. You shouldn’t let your pride get in the way, worrying whether you will achieve or not. You need to understand that getting to a certain level means re-setting your mindset and your goals, so that you climb to the next level. Prior to Mitsuya’s retirement, the only life she had known was volleyball. But she took it to the next level by transitioning to teaching at the high school and university level. Three years after participating in CSR activities with the leadership of a lingerie company called Ten Arrows, she was named CEO of that company. That was a big step up. When I became a company CEO, a lot of people said I was hired just because I’m a well-known person. But I want young women to realize that specialization in one area does not mean that you cannot do something else. You need to challenge yourself and try different things because there are common skills you can use in other types of work. Based on my experience in volleyball, I learned how to motivate people (which is important for company leaders). I learned another important lesson from sports, which is also important in companies: resilience. I encourage people to challenge themselves because you need the experience of overcoming issues. And if you fail, well, through failure you grow. More importantly, if you do not challenge yourself, you may regret not making the attempt. Mie Kajikawa understands this. Kajikawa was first a basketball player at Nagoya University. She worked in sales for the Japan Travel Bureau in Nagoya, studied French in France for a month, spent a few years doing secretarial work for executives in foreign financial services firms in Tokyo until she realized what she wanted to do – study sports management in the United States. During her master’s program at Ohio University, she had a career-defining experience – an internship with the Detroit Pistons. From that point on, the doors to NBA officials or relevant sports industry players, as well as sports associations in Japan opened up. Kajikawa went on to participate in Tokyo’s bid for the 2016 Summer Olympics (which eventually went to Rio), and founded the company, Cheer Blossom, Inc., which provides consultation in CSR to Japan’s professional basketball league – B. League. And when she established the non-profit organization, Next Big Pivot, she became a significant player not only in promoting the empowerment of women in sports business, but also advocating for the development of basketball in Japan. If you are interested in learning more about Next Big Pivot and Kajikawa’s plans, click here. Jon Sieben celebrates his amazing upset. It took a second after he tapped the wall. But as soon as he realized it, Jon Sieben threw his arms up and fell backwards into the water. At the 1984 Los Angeles Olympics, Sieben had pulled off one of the greatest swimming upsets in Olympic history. At the 150-meter mark in the men’s 200-meter butterfly , Sieben didn’t even deserve a mention, behind the favorites. In fact, Sieben’s name doesn’t get mentioned until about 25 meters to go when the American announcers, including Mark Spitz, realize that Sieben in lane 6 has pulled even with the mighty Michael Gross. Play-by-play Announcer: Here comes Vidal! Here comes Siemen in lane six! This is going to be a horse race! Sieben is about to pull a huge upset! In lane 6, 17-year old Jon Sieben of Queensland Australia, came on in the last 20 meters and he caught michael Gross and beat him to the wall! Gross had already set two world records in swimming at those 1984 Los Angeles Olympics, and was gunning for a third. The massive 2 meter tall Gross from Frankfurt West Germany, nicknamed “The Albatross”, expected to fend off other favorites Pablo Morales of the US and Rafael Vidal of Venezuela, but did not expect to be challenged by the 176 cm tall Sieben from Brisbane, Australia, affectionately nicknamed “The Shrimp”. As David Wallechinsky and Jaime Loucky write in The Book of Olympic Lists, Sieben was so overwhelmed with his victory, he didn’t realize he had set a world record as well. His time of 1:57:04 was more than four seconds faster than his pre-Olympic best of 2:01:17. Sieben was so excited by his victory that it was not until an hour later that he realized that he had broken the world record. The rabidly pro-US crowd gave him a standing ovation, and the outcome was so delightful that the defeated favorites expressed pleasure more than disappointment. 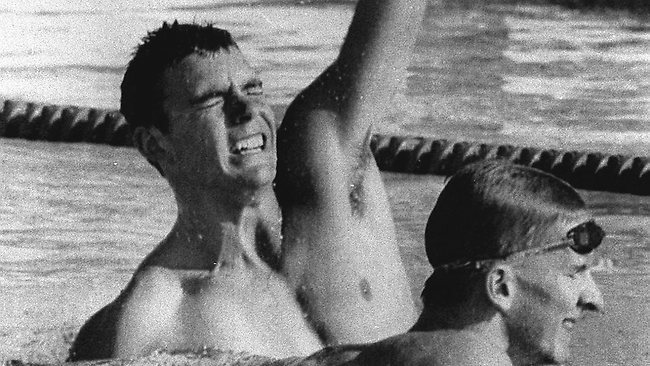 Gross, who had refused to appear before reporters following his two gold-medal races, and whose disdain for pomp and press had earned him the nickname “The American” in West Germany, sat beside Sieben after the 200 butterfly preferring to praise the young Australian rather than talk about himself.